Calling the San Francisco Bay Area home, Seher is a Brooklyn based photographer, writer, and community facilitator. As a practice in holding space, Seher teaches qigong (an ancient energy healing modality rooted in Chinese medicine) to inspire easeful communication between the body-mind and hosts discussion forums to foster dialogue between the collective heart-mind; She fiercely believes that it is every human’s birthright to truly feel, know, and access their energy — and then to harness this agency towards self-empowered healing. 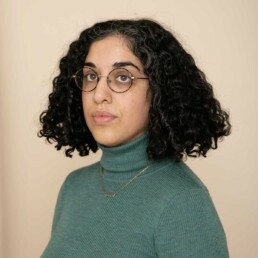 Through the convergence of her work, Seher assumes the role of an interdisciplinarian; Exploring creative ways to combine her talents with her passions for healing, community building, multiculturalism, and social impact. Her 2017 ‘Testimonies from the Table’ book project is a demonstrated embodiment of this ethos.